After one half, Manchester City leads Liverpool, 1-0, in a game that may all but decide the Premier League title The Reds are surely kicking themselves in the locker room after missing this chance to take the early lead. Just 17 minutes into the game, Mohamed Salah found Sadio Mané running down the middle for what should have been an open opportunity to score. Instead, the ball took a bounce off the left post. 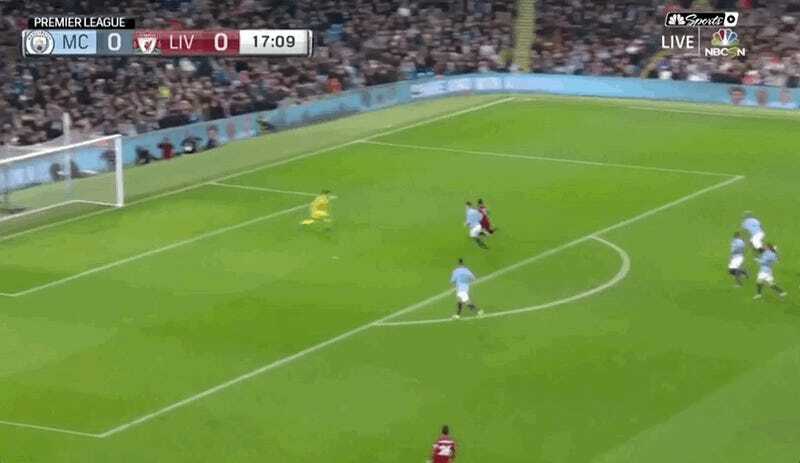 While trying to clear his side from danger, John Stones kicked the ball off of Ederson’s head, and it looked like it was going to bounce in for a deflating own goal. But Stones was able to use some amazing reflexes to turn and stop the ball from crossing the goal line to keep the game leveled at nil-nil. 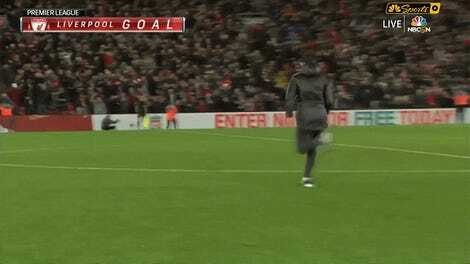 That’s an image that could end up driving Liverpool fans to madness if the score stays 1-0.